After getting a new gate installation, it’s surprising that one of the most commonly overlooked tasks is to keep it clean and well-maintained. A driveway gate can add curb appeal and value to your home. But if you don't maintain your gate, it can turn into an eyesore. Regular maintenance service ensures functionality and prevention. 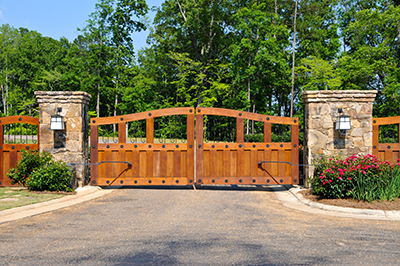 Read the tips below on how to keep your driveway gate working and looking great for years to come. To keep it looking at its best, regular maintenance should be part of your routine. Keep the hinges properly lubricated, and check to ensure that bolts are tightened. Watch out for rusty spots. If you have a gate remote, regularly check if it is working in a good condition. Ramset gate opener works best as it is long lasting, and durable. If you choose the manual sliding or swinging type, even if there is no motor or electronics to worry about, it requires a clean track to avoid derailing, especially with the leaves, dirt, or branches. 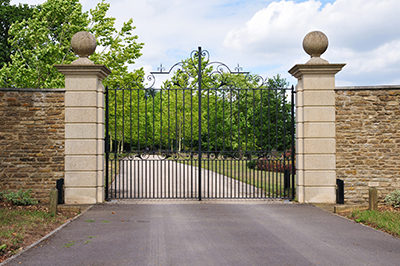 While small repair jobs, such as painting your steel gate or fixing few issues can be done by yourself, it is best to consider driveway gate repair for more complex repair jobs. For instance, if your automated gate is malfunctioning, and you attempt to repair it by yourself with the hope of lowering the cost without knowing that it may be due to electrical components, it will destroy your gate even more, because you are not capable of diagnosing the problem. * Apply a protective coat to ward off rust. It goes without saying that prevention is better than cure. Wrought iron gates will rust when exposed to the elements, such as humidity and rain. While this is less of a problem, it is smart to take steps to prevent damage. If there is a pool nearby your gate rust is more likely to develop, so apply a protective sealant. * Water and gentle solution. Active measures are also important in dealing with pests. Pests survive on moisture environment. As much as possible, remove the moisture and apply solution from time to time to decrease the survival rate of these pests. Having a driveway gate shows your sign of prosperity and excellence. The great thing about this kind is the fact that it can be used anywhere. You cannot deny that it is the most excellent solution for security and protection purpose, as well as improving the beauty of your home. Our comapny can assist you with the custom products that work best in your maintenance venture, and offers repair and installation services for all kinds gates at reasonable costs. Contact us for more information.